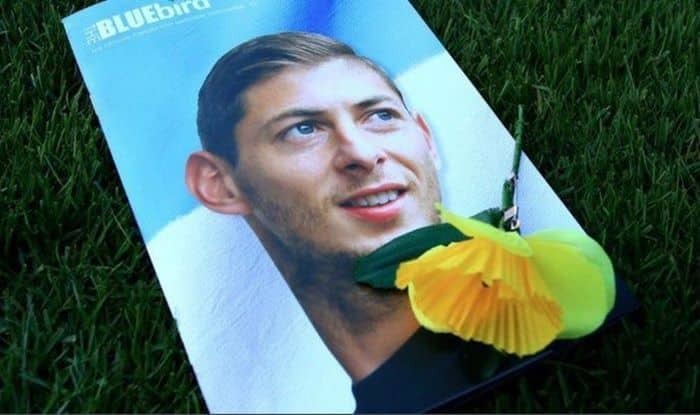 Late Argentine striker Emiliano Sala and pilot David Ibbotson had gone missing after the aircraft carrying them crashed into the English Channel. Late Argentine striker Emiliano Sala and pilot David Ibbotson had gone missing after the aircraft carrying them crashed into the English Channel. Emiliano was on his way to Cardiff City football club in Wales to complete a transfer move from French club Nantes in a club-record deal of 15 million pounds. Sala was bought in to bolster the struggling Premier League club and with an impressive record of 12 goals in 19 appearances, the footballer was in his peak form. Sala scored his last goal in the Ligue 1 fixture between Nantes and French giants Marseille on 5th December 2018. Sala’s goal was a crucial one for Nantes in the 30th minute of the match when his side was a goal down. He headed in the equalizer from an Abdoulaye Toure cross from the right flank. Following this, Marseille took the lead once again but the Argentine once again was at the center of events with another contribution in the form of an assist. Nantes went on to defeat Marseille. Yesterday, after days of intense search, Sala’s body was identified after being recovered by British investigators from the submerged wreckage of a plane that went down in the Channel. According to AFP, The Argentine striker’s body was first spotted by rescuers with a remotely operated vehicle (ROV) on Sunday close to where the plane went missing near the British island of Guernsey. “The families of Mr. Sala and pilot David Ibbotson have been updated. Our thoughts remain with them all,” police said.